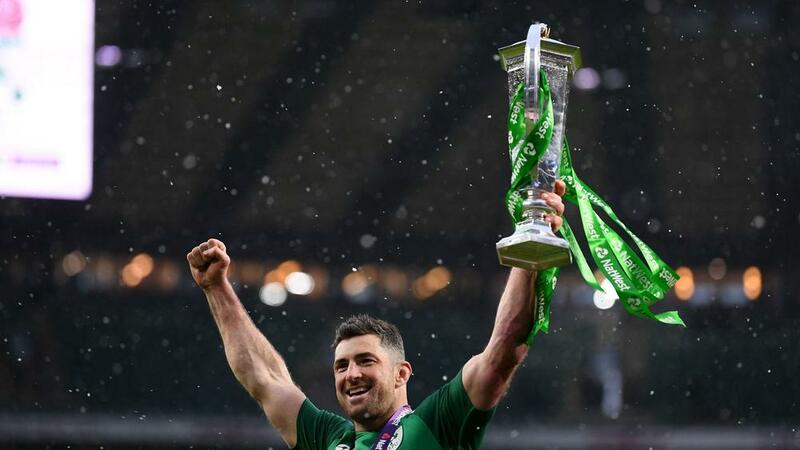 Rob Kearney has extended his Irish Rugby Football Union contract until after the 2019 Rugby World Cup. The full-back follows Ireland captain Rory Best in doing so, the Leinster man having helped Joe Schmidt's side to a Six Nations Grand Slam. Kearney started every game as Ireland regained the Six Nations title from England, who they beat 24-15 to complete the Slam on Saturday. He also started every match in Ireland's Six Nations triumphs in 2009, 2014 and 2015. With 83 caps to his name, Kearney is now likely to surpass the 100-cap mark and represent his country at the World Cup in Japan. Kearney featured for Ireland at both the 2011 and 2015 World Cups, suffering quarter-final exits on each occasion. He said: "I am delighted to have extended my IRFU contract and look forward to continuing to achieve with this Ireland squad.